I received another book review this time from Amanda at Made for TV Mayhem. She writes an awesome blog about made-for-TV movies and horror films. Click here to see the review. I convinced her to guest blog for me in July--she wrote the emotional review about the Rankin/Bass classic Nestor, the Long Eared Donkey. 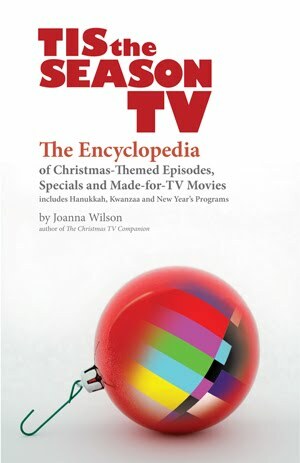 Last year, she wrote about the TV Christmas special A Mouse, A Mystery and Me and the year before, she wrote about the 1974 Christmas-themed disaster TV movie Terror on the 40th Floor. I was honored that she asked me to guest blog for her this past month as well. I wrote this review of the 1977 TV movie The Gathering. Thanks so much to Amanda for the fantastic review and the opportunity to write for her blog. And for those readers looking to discover more TV moments from the past--stay close to this blog and Made for TV Mayhem. And, this upcoming November look for my next book Tis the Season TV: the Encyclopedia of Christmas-themed Episodes, Specials and TV Movies. How cool is it for me to see the words "Made for TV movies" on the cover of a book? Very! I'm so looking forward to your encyclopedia! Congrats!